Thermostats simply control the heating and cooling on and off cycles for any home. They are available in many different styles and sizes. However, not all thermostats are created equal. Some are very simple to operate while others can be very complex. Overland Park Heating & Cooling will recommend the right thermostat for your specific needs. Overland Park Heating & Cooling understands the importance of selecting the right state-of-the-art thermostat for your home. Our recommended thermostats can be custom programmed to throttle the temperature up or down at different times of the day, as well as automatically switch between the heating and cooling modes. Humidifiers are used in the winter to increase the amount of humidity in a room or house. By adding moisture to the air, it not only eliminates static and moisture on the inside of windows which are two of the most common problems in dry winters, but also helps keep respiratory infections away. 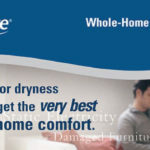 Whole-house humidifiers will eliminate an entire house of their humidity problems by working with your current furnace. No more static in the home. No moisture seen on the inside of the homes windows. It is the perfect combination for increased home comfort. With only the best brands of humidifiers available, Overland Park Heating & Cooling can find you THE one that will make your home comfortable. After selecting a humidifier, ask about the installation of an outdoor temperature sensor. This device will measure the outdoor temperature and, through the humidifier's micro processor, will self regulate your homes humidity level precisely. Overland Park Heating & Cooling can upgrade most existing home humidifiers with an outdoor sensor. Your home may have the latest heating and cooling technology, but you still may feel uncomfortable due to high humidity levels in your home. The summer humidity level in Kansas City can be unbearable. When indoor humidity levels elevate to outdoor levels there are many negative issues created. 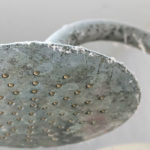 For instance, humidity creates an excellent breeding ground for hundreds of types of molds, mildew and other home invaders, such as, dust mites that can cause family ailments. In addition to the health issues, high humidity can cause issues with your home's structure and furnishings. Today’s energy-efficient homes need more humidity control. Overland Park Heating & Cooling can find the right system for you. Take Control of Indoor Moisture! Although moisture infiltration is reduced, many normal day-to-day activities—such as cooking, showering, dish-washing and doing laundry—add significant amounts of moisture back into the environment. Because the heating and cooling system needs to operate less in a tighter home, less of this moisture is removed. Experts have identified the ideal level of relative humidity in a home to be between 30% to 60%. Tighter homes have moisture loads that need to be controlled with whole-home dehumidification systems sold and installed by Overland Park Heating & Cooling. Homes in the Kansas City area today commonly feature vaulted ceilings, recreation rooms, finished basements, extended ranch-style levels, home additions, garage conversions, and two and sometimes even three-story classic period homes. Each of these configurations creates challenges in maintaining the proper heating and cooling needs of the home with a dated or very basic heating and cooling system. These systems struggle to maintain the proper level of comfort, and over time, the utility bills continue to rise. Zoning allows you to designate various temperature zones in your home that are controlled by individual thermostats and motorized dampers located in the ductwork. As the temperature is satisfied in a particular section, the vents close until another temperature call is made from that room. In the meantime, the system continues to send air currents to other areas until the desired temperature levels per zone are achieved. The biggest benefit to zoning is the reduction of your energy bills. Studies by the U.S. Department of Energy show that 35% of our utility bills are from heating and cooling our homes. By zoning your home with Overland Park Heating & Cooling, you will be able to select and program which areas of the home receive heat/air, humidity, even filtration, and when. An example would be to route all of the air to the bedrooms overnight. Your system would then work to supply heat and air to only the bedrooms without affecting the rest of the home that remains unused. You will benefit from a custom zoning system if you have any of the following: multi-level home, large open areas, vaulted ceilings, open staircases, rooms above or attached to the garage, finished basements, expansive glass, or simply preferences of temperature by family lifestyle. Overland Park Heating & Cooling should be on the top of your list for all your indoor air quality needs. Air cleaning solutions are attainable when we understand the objectives for wanting a clean air system. There are no two homes alike when it comes to the needs of cleaning the air. Most homes are subjected to excessive dust, dirt, pollen and pollutants from the outdoor. Healthy Climate has the Answers! There are many different Air Cleaners to choose from when deciding on a system that is just right for you and your family. Overland Park Heating & Cooling recommends the air cleaning products manufactured by Healthy Climate. They are a reputable line of equipment with many different air cleaning options that will meet you and your family's specific needs.